Germany Now Recording Coldest Spring In 40 Years! 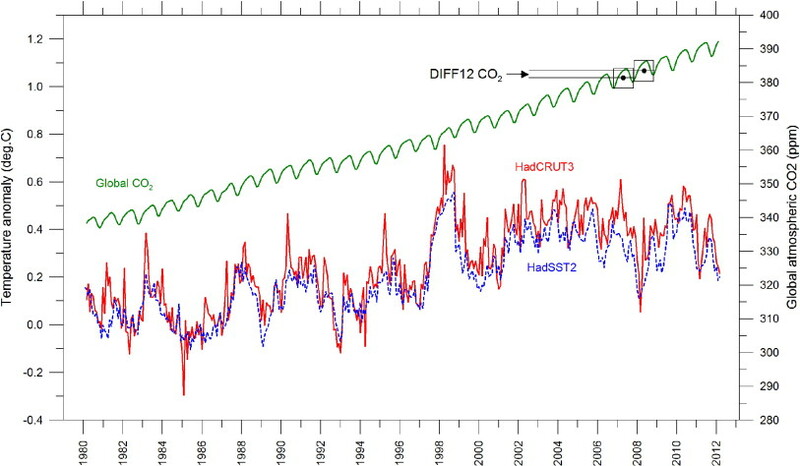 “…Climate Experts Running Out Of Arguments…”! 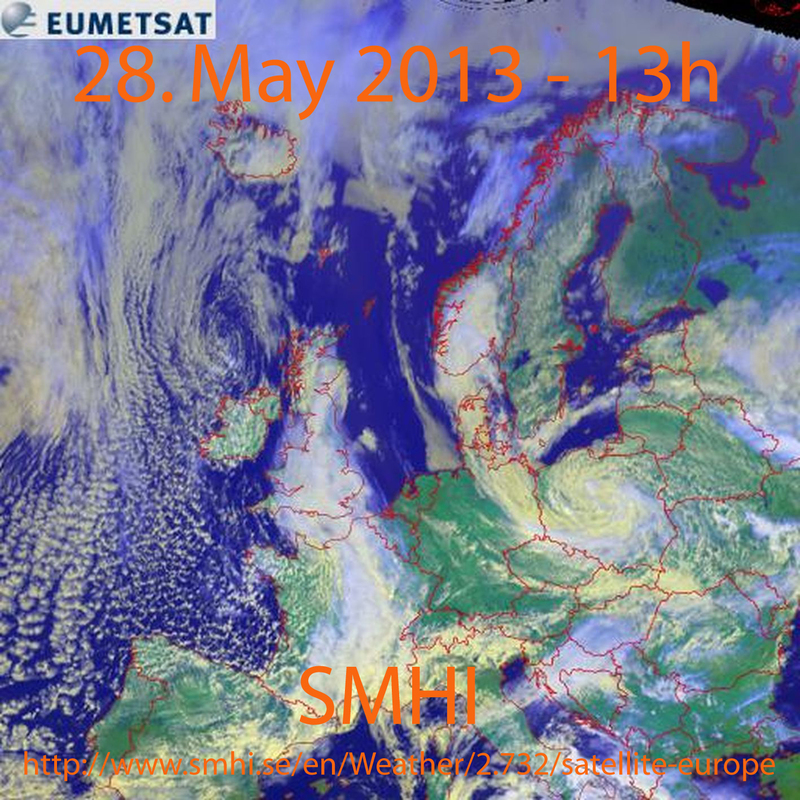 Browse: Home / 2013 / May / 27 / Germany Now Recording Coldest Spring In 40 Years! “…Climate Experts Running Out Of Arguments…”! The recent weather in Germany indicates everything but global warming and widespread drought, which climate experts have been telling us would be the case unless we stopped burning fossil fuels fast. 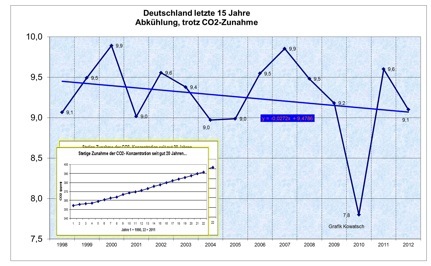 Germany’s mean temperature trend continues falling sharply (1998 – 2012). 2013 so far is well below normal. 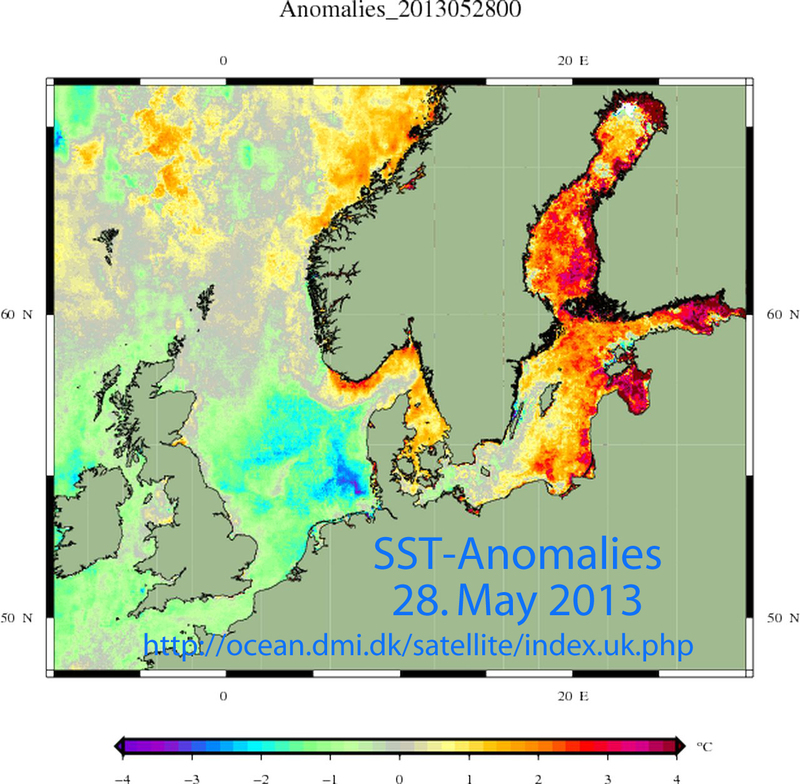 (Source: Josef Kowatsch, data from German Weather Service). Today the online Augsburger Allgemeine reports that the statistics for the 2013 German meteorological spring (March-April-May) have been 95% tabulated and show that this year’s German spring is the “coldest in in decades“. The Chiemgau24 news site reports that it is the coldest spring in 40 years. This past weekend, snow even fell in parts of Germany at elevations down to 600 meters. No reasons are cited as to why the spring 2013 is so cold. The Arctic is covered with ice and so it can’t be an exposed Arctic sea disrupting atmospheric patterns. ‘Here the long-term weather models from some international weather services had indicated a “warmer than average and sunny April and May”. But we got just the opposite. On Sunday morning it even snowed again down to 600 meters elevation,’ explained Meteorologist Dominik Jung of the weather portal www.wetter.net. This might be a good time for the German Weather Service to think about dropping it’s long outdated temperature chart logo at the header of its website www.dwd.de/. Love your site Pierre. I tell my friends here in the US that Europe is awakening from the fantasy already…. even as we are still bathed in propaganda here. It would be funny if these people were not living at my expense. Pierre, get out while you can and come home. Oh, wait. Whiteface Mountain spokesman Jon Lundin says 36 inches of white powder has blanketed the nearly 5,000-foot tall mountain in the Adirondacks. That has forced the Olympic Regional Development Authority to close Whiteface Veteran’s Memorial Highway on the backside of the mountain. I nearly had some snow at home near Concord NH. People on hills around town should have seen snow falling, if not accumulating. 400 ppm – is there anything it can’t do? Wow! I can’t remember seeing anything like that when I was a kid there in the 1960s and 70s. I saw some webcam photos of the NH White Mountains earlier today – yup, they’re white! A few years back we were bombarded with warnings of earlier and earlier springs. Today, the springs are coming a bit late but they have remained silent. As time goes by they are running out of things to scream about and have resorted to pointing at ANY weather event as a sign of global warming. It’s really sad they are ending up like this. Why can’t they eat humble pie and surrender? Jimbo, they, the climate change scientists, have their snouts stuck in the trough eating only the best prime steaks and lobster; pies are for the slobs and peasants, especially served with such a high-salt filling. I would have hoped that by now the politicians would have called their bluff, but our lot here in the UK are too preoccupied by the real problems and issues facing us today: gay marriages, banning Lads magazines, etc. So until the general population wake up from their, what shall we call it, brainwashed and zombiefied state?, nothing will change. Jimbo, if I were a musician in the Titanic orchestra, knowing that I had no chance because ladies and children go first, perhaps I would play the trumpet till the bitter end. No time for humble pie and surrender. What would you do? Jesus said “I am the truth”, and Pontius Pilot said “and what is the truth?” probably in a sarcastic way fitting for someone who knew the “rules” of warfare and the politics of Rome. Unfortunately, the truth actually does not count for anything. It never did and it never will. Not in politics, family justice, science, nor anything else. The battle is never about truth is is about ideologies. For the warmists it doesn’t matter what the evidence it, everything is caused by warming – it is not falsifiable. Everything fits because it has to fit. For the evolutionist it doesn’t matter what the evidence is, it is all caused by random mutations – it is not falsifiable. Everything fits because it has to fit. The history of Germany in the 1900’s to 1940s is a sad tale of ideology gone mad, but those who would normally be expected to uphold the truth were besotted with a lie and became the perpetrators themselves. Doctors, scientists, clergymen etc. In family law, it is not the truth that counts it is the social engineering project to redefine the relationships in society, especially the role of the male. What goes around comes around and the AGW scam is just the same old recycled rubbish. It will not confess it’s errors or fallacies, rather it will morph into something else and still keep the high ground. It doesn’t care about truth and so this weapon makes little impact on them. There are many signs of the AGW crumbling, but there are more signs of arrogant obstinance with a determination to win the AGW war whatever. “we do not guarantee the timeliness, accuracy and completeness of the information ” ……………………………………. hmm how about that? German propaganda institutions use the language barrier to their advantage; our journalists do their best to stem the tide of inconvenient information from the Anglosphere to keep the German eco brainwashed. “A clue to just how distant the thinking is from the real world lies in the COM final, which blithely tells us that “snow tourism” is one of the economic sectors which is “already facing the impact of climate change”, despite the industry just having enjoyed a record season. But now, with “adaptation” embedded in the very heart of Commission policy, there will be no rooting it out. This is the intellectual equivalent of the herpes virus – the only sure way of destroying it is to destroy the host. And, before we can rid ourselves of it, that is what we will have to do.